The new ball is more scratch resistant than it used to be. 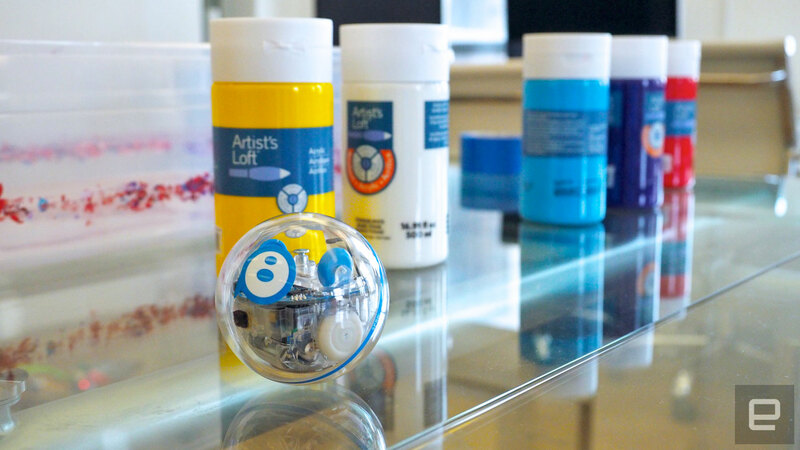 Nearly two years ago, Sphero decided to turn its robot ball into more than a toy. The company launched SPRK, an educational program for kids to build up their coding skills, as a complement to its charming connected device. Then, in 2015, it followed that up with the Sphero SPRK Edition, a redesigned version with a clear shell and a companion app that let users set up commands for the robot to follow. Now Sphero is introducing the second generation of its education-focused ball, dubbed SPRK+. It's a minor but still noteworthy upgrade compared to the original version. SPRK+ sports a more scratch-resistant body and tap-to-connect features, which will make it easier to pair it with iOS and Android smartphones or tablets. The new, tougher UV coating is important because this model is intended to be used in schools, where the robot ball is prone to drops and other situations that could scratch its shell heavily. It's less prone to scratches this way, according to Sphero. Of course, like its predecessor, SPRK+ is water-resistant as well. To go along with SPRK+, Sphero also revamped the SPRK Lighting Lab app for iOS and Android. There's now more of a community aspect to it, where teachers and students can share their lessons, activities and programs with others. Sphero says the Lightning Lab application is what ties the entire experience together, as it allows it to continue promoting skills to anyone through robotics. "We just want to make toys that inspire," a Sphero representative said to Engadget during the SPRK+ demo. The SPRK+ arrives today for $129 on Sphero's site, as well as Apple stores and retailers like Amazon and Best Buy.